Anno Domini 2018: Townsmen has made it to Nintendo Switch! 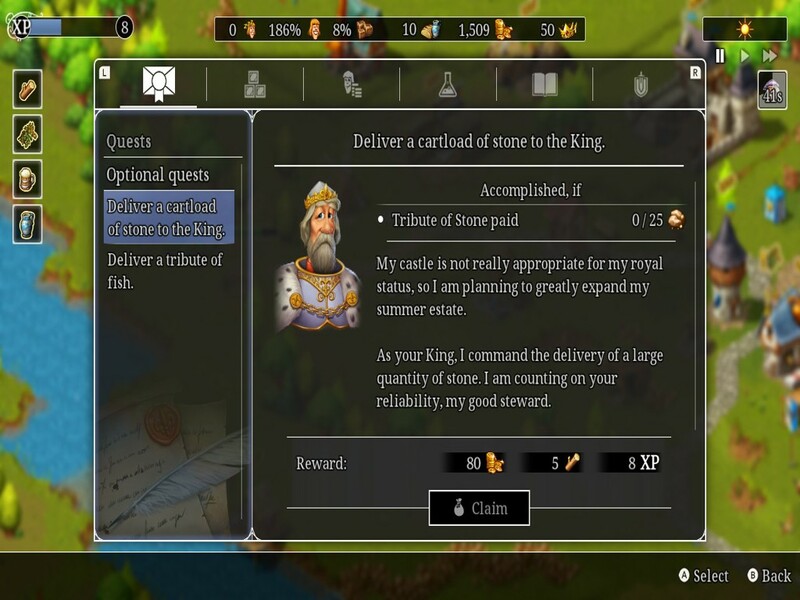 Remastered from earlier phone and computer versions, this classic, city-building strategy game features updated sounds and graphics. 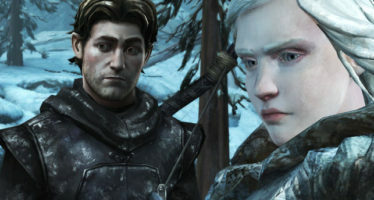 Fans will recognize the franchise’s familiar medieval theme as they dive into play. Townsmen opens with the premise that the player has lost the king’s good graces. Banished, the player is left to govern struggling lands and build towns by managing resources, construction, and caring for the citizens needs. Access to these escapades is conveniently found via the Nintendo eShop. 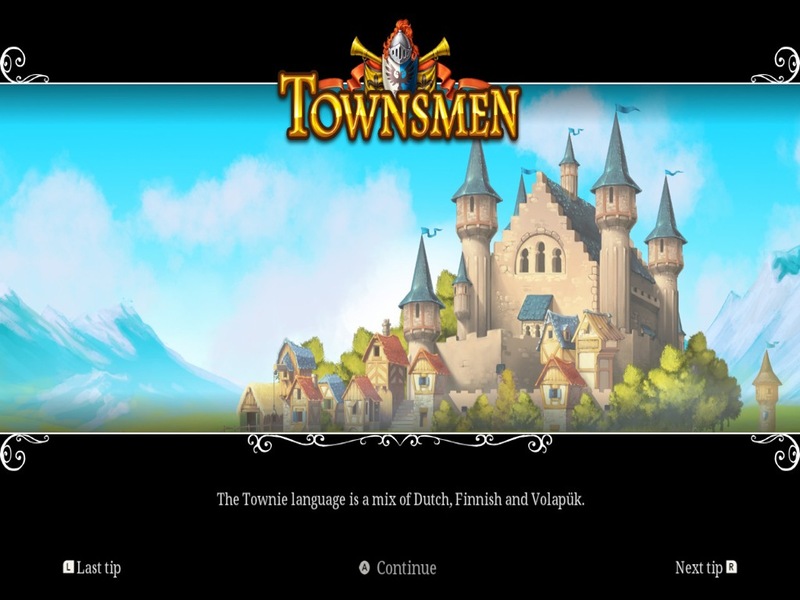 Townsmen is quick to load and pans into a simple but graphically polished start screen. Befitting the console, the art style’s soft tone color palette retains great contrast and clean lines. This allows details on buildings that contributes to easier navigation as the player’s town grows. Both docked mode and handheld can boast this. However, text size can appear small while docked giving handheld mode consistent superior readability. Looks aside, when it comes to playing, Townsmen has several options: Tutorial, Scenarios, and Sandbox Levels. 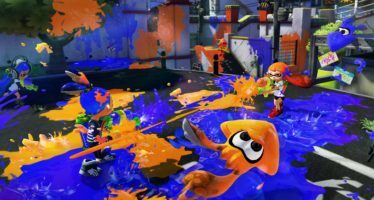 While all the play options share similarities, there a few differences to note. 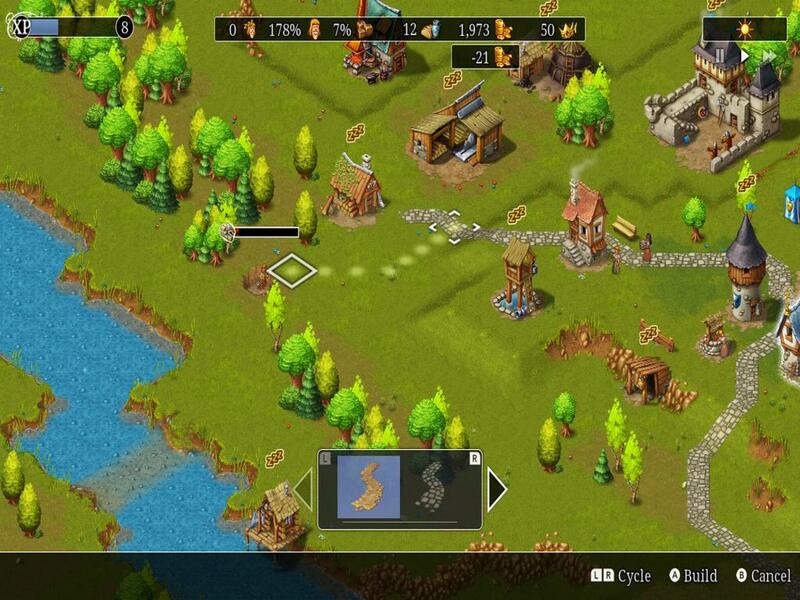 Both newly acquainted and veteran players would benefit from the Townsmen’s tutorials. Much like many games, Tutorial instructs the player on game play and game mechanics in a graduating manner, covering everything from assigning Townies to jobs, using the build menu to construct, and tips to keeps the players town running smoothly. A good example to pull from is the farm. In Townsmen, the farm handles producing vital town needs for the players town and populace by means of wheat, wool, and herbs. The production of these three things supplies the towns needs and can be later sold for Thaler, the in game currency, and help the player’s economy flow. For the player to get this multitasker functioning, they need to know what to place and where. Some of the various fields and gardens for the farm are a separate build from the farm itself. A garden on the opposite side of the map from the farm would be ineffective time wise and the tutorial teaches to build near the farm. It also reminds you that the farm does not create wheat in winter, but other tasks are still available. Several of the the builds in game share this multiple build setup. Builds are separated into intuitive menus with descriptive texts. The benefit of learning via tutorial allows the player a feel for how to build to maximize the town economy while not being overwhelmed by demanding Townies. The challenge of building up the town in all of its glory is a large part of the fun, and the in game economy can make or break that. The tutorial may feel like hand holding at times. Sometimes specific instructions are shown after the player figures it out. Still, because of the aforementioned reasons, the tutorials are worth playing. The player does not have to run through Tutorial and can jump to either Scenarios or Sandbox Levels. Scenarios offers the player a challenge. The player has a specific quest and has to navigate how to reach the goal. While it may feel like tutorial mode at first, construction options are not restricted for learning mode and the player can fail. Craftsman challenge is one such scenario. As seen in the image above the player’s goal is to build a marketplace and a tavern but is limited to starting with two Townies. While this challenge does pre-generate some of the required buildings and material, it is still up to the player to manage work, build resources, and keep the Townies healthy and fed. The town can be struck by plague, raided by bandits, and have other pitfalls to hinder to player. Not all events are bad. The Townies and game do offer optional quests with rewards that can be bountiful. One quests asks for bread for the town and rewards players with materials that the Townie could have been gathering instead, allowing double gains in terms of resources. Time and worker management will still be required to be successful. Once the goal is reached, the player can continue in the town or move on to the next challenge. Sandbox Levels, just like Scenarios, come in various level of difficulty and map size. However, Sandbox mode, is as the name suggests, free for the player to build their town as they please. The player does still have to meet building prerequisites. Townies can not makes tools if they can not smelt iron first, but mostly have free reign like other city building games. Sandbox mode does have quests and optional quests, but not an overarching goal like the aforementioned Craftsmen challenge. 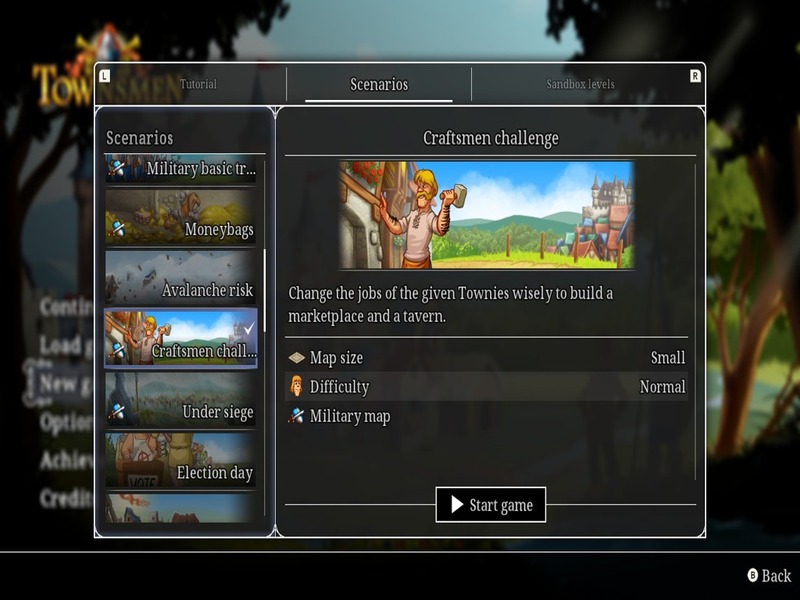 Townsmen does feature research that is based off of a leveling system. As the player accomplishes various task they gain levels. As the player gains levels different types of research unlock. Research can give the players watch towers with better area coverage, speed up certain crafts, and affect the buy/sell price of goods. The players level and research is shared across all game modes, allowing the player to put their prior hard work to use and alleviating some of the time sink that city builders can be known for. 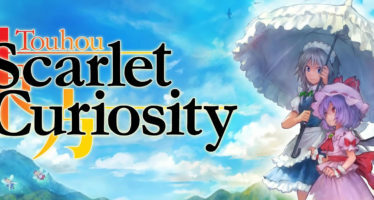 The game features easy controls and makes use of the Switch’s touch screen, joy cons, or s combination of the two depending on play style choice. The main menu offers a controls list if the player needs a refresher. The games sounds and music can be easily adjusted for volume. The soundtrack has a nice ambiance and does not distract from game play.The menu has list of in game achievements the player can unlock, a nice touch for trophy hunters and game completionists. The load screens offer tips the player can scroll through. The game’s multiple save files are always a plus, too. And of course, all the different challenges and building not mentioned. 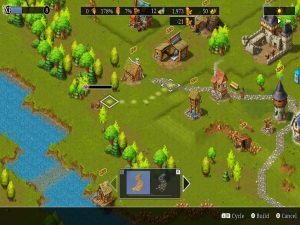 Overall, Anno Domini 2018: Townsmen has been converted to the Switch well and offers hours of city building challenges and entertainment. 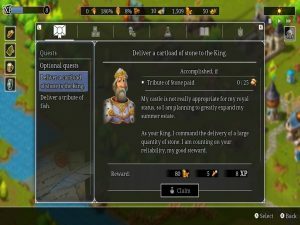 Anno Domini 2018: Townsmen is a familiarly styled city building game. Play strategy revolves around the player building up their town and while managing their resources and economy. The game features and varied pace make for an entertaining challenge.